Suspended Police Chief and Presidential Pal Alan Purisima and President BS Aquino. Photo from Inquirer.net. It is now dawning on me and many others that those who wish to keep PNoy while not doing anything to hold him accountable are mainly those who think the unresolved problems will benefit them and their chosen candidates for 2016. These people, who seem to be as self-absorbed as PNoy, view the chances of their manok in 2016 as more important than anything else. Malacanang spokesmen are very happy for their help in protecting PNoy from all accountability. 1. Is it legal for the President to resign? Yes. It is allowed under the Constitution. 2. What happens if the President resigns? The Constitution is clear: Upon resignation, the duly-elected vice president takes over and occupies the presidency until the expiration of the resigned president’s term of office. 3. Will the world end when a President resigns? Long answer: To preserve the rule of law and to uphold the people’s will, the Constitution lays down the manner of the election of both a president and a vice president, and the presidential succession. The Constitution states that the vice president is the immediate successor if the president resigns, is removed from office, is incapacitated or dies while in office. 4. 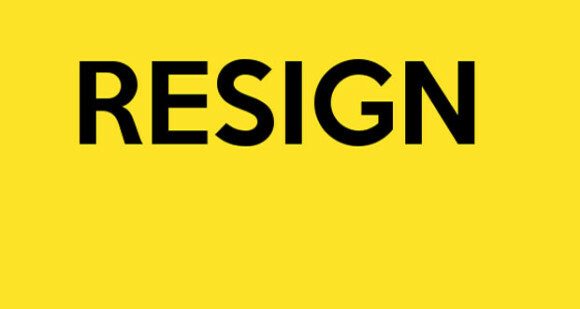 In the current situation, who have called for the resignation of President BS Aquino? A number of Roman Catholic bishops, Members of Congress, youth groups, activist organizations and even some relatives of the SAF44 have asked the President to resign. They say the President has repeatedly betrayed public trust, has proven to be incompetent, callous, criminally-negligent, and lacks any credibility in ensuring justice for the SAF44, among others. 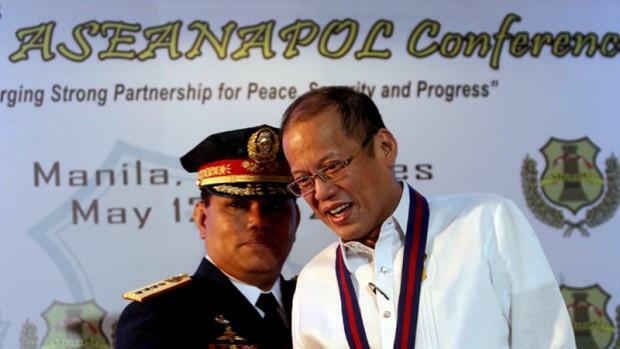 5. Who are opposing these calls for President Aquino’s resignation? Malacanang, of course, has rejected calls for the President’s resignation. Joining them are: Senator Antonio Trillanes IV and other presidential candidates seeking to run against and defeat Vice President Jejomar Binay in the 2016 presidential elections. The latter group include those who view their principals as the only acceptable replacement or successor to President Aquino. The narrow-minded, malicious and false view is that calls for President Aquino’s resignation are solely and exclusively about installing Vice President Binay as President. It is as if there is absolutely no basis to question President Aquino’s moral and political fitness to remain in office or to demand his resignation or removal from office. A few would say they want also want the President to be held accountable for his offenses, but would rather let “history” judge him. The call of the times. To be fair, some of them also commiserate with the widows and orphans of the #SAF44. Others decry the fact that PNoy wasted billions for his DAP pork barrel. Many denounce the criminal negligence of Yolanda victims and the loss of P100-billion in relief and rehab funds. BUT FOR THEM, THESE ISSUES ARE ALL INSIGNIFICANT compared to making their manok win or get a chance to win in 2016. It is also becoming apparent that they are choosy when talking about the Constitution. On one hand, they plead that the public abide by the Constitution to allow PNoy to finish his term. But at the same time, they wish to airbrush and trivialize what the Constitution states about command responsibility, accountability, direct voting and presidential succession. These charlatans are tying to deceive the nation. The hate-filled fearmongering is a fig leaf that covers their gigantic egos and self-serving motives. They are no different from dictators who proclaim themselves as superior to the nation in determining the country’s destiny. They say they only want “what’s best” for the nation, when what they really want to say is “we want to decide on our own what’s best for the nation” or “our choices alone are the only acceptable options”. Their lip service to elections end when the “stupid voters” vote against their choices because afterwards they launch a three- or six-year war on the people’s choices. Those who only have serious and legitimate questions against Binay should continue raising those questions and help to bring him to court. But, however valid or worthy of widespread support, these issues cannot negate the solid case against PNoy who may unleash more harm and shame, if left unmolested until 2016. The real tragedy though is not that PNoy turned out to be a dud or a fraud. That is mostly his fault and which no amount of hubris and political gimmickry could hide or embellish. There is already a growing national consensus that he is morally, politically and intellectually unfit to govern based on the national experience since 2010. PNoy has isolated himself. The real tragedy is that the lessons of 1986 and 2001 were lost on our leaders, parties and their supporters: First, power belongs to the people, not to one or a few. Second, all government power comes from and is accountable to people. Third, ousting presidents does not instantly lead to a change in the very system that produced Marcos and Estrada. And so today, we confront PNoy, another product and chief defender of this rotten system. We should expect each step to hold him accountable and to reform the system would be thwarted, vilified, and demonized. We should not be surprised as it is in the nature of this beast of a system to protect PNoy and to protect it moribund self. We are fighting two types of BS here: BS Aquino and the Bulok na Sistema and they don’t go away without a fight. Yes, people want PNoy to resign. No, those who support PNoy while supporting some other replacement/successor have absolutely no right to impose themselves on the Filipino people.